Every parent would like to give their children their dream bedroom. Of course, the challenge of how to create one that would really fit into their wants would always be there. Not to mention the expenses that you would really shoulder since there are lots of accessories to place in order to get the kind of bedroom your child wants. Most parents give that to their kids thinking that they will not be a child forever. So, why not give them their childish desires? Giving your kids a bedroom that would make them happy can also be another great way of showing them how much you care for them. You can do that by buying some DIY items and fixing the room on your own. You can also let your kid come with you while you buy some stuff so they can choose what they want. There are so many themes that your kid can choose from. They might even want to have one like the Paidi Children’s Bedroom that uses tents and ladders for their beds. Each one also come in different color and theme. For sure, your kid would be awed upon seeing their bedroom designs that are very unique and creative. 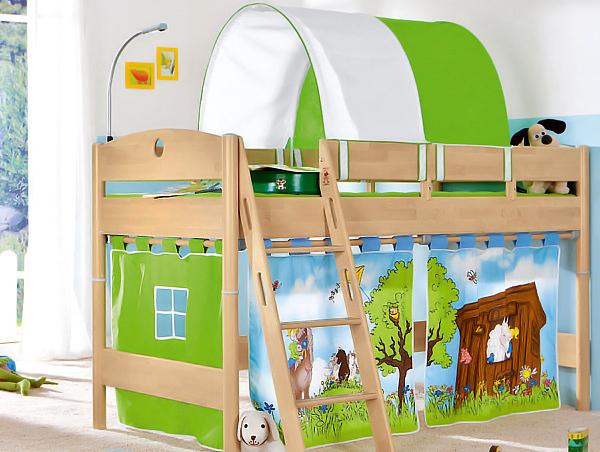 Your child will surely be glad to see a tent of green shade on top of his bed. This one is suited for a bedroom with a forest theme. Look back to the ancient times with this classical theme bedroom set. Still with a classical setting but this time it has a feminine touch with the use of pink colors. 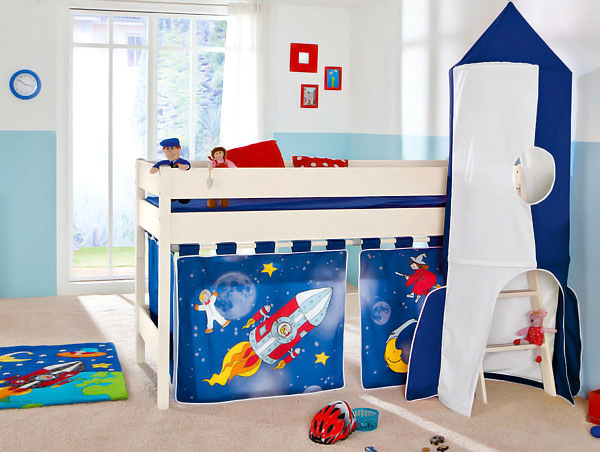 Bring your child’s imagination to the outer space with this kind of bedroom set suitable for young men. Now this is like bringing the outdoor field inside with a soccer themed bedroom along with other furniture and accessories. Give your young lady a chic and fab bedroom with this set, making her feel like a modern day princess. A minimal design for a boy’s bedroom with shades of blue. 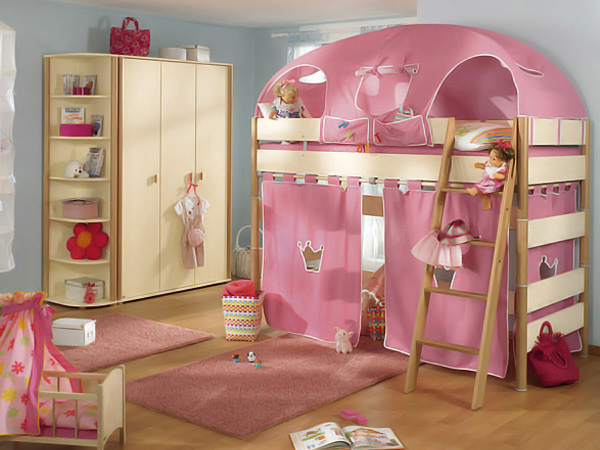 Another lovely bedroom set for your little princess that would make her bedroom look as gorgeous as she is. 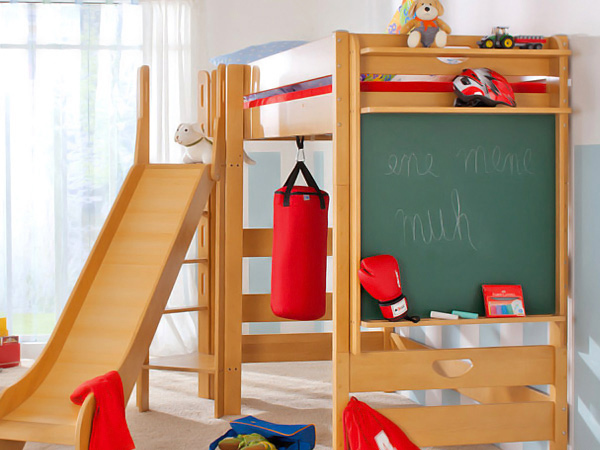 If your kid is a boxing fan, he will really give you a tight hug once you give him a bedroom like this one. Another minimal set for a boy’s bedroom using green and blue as color combinations. 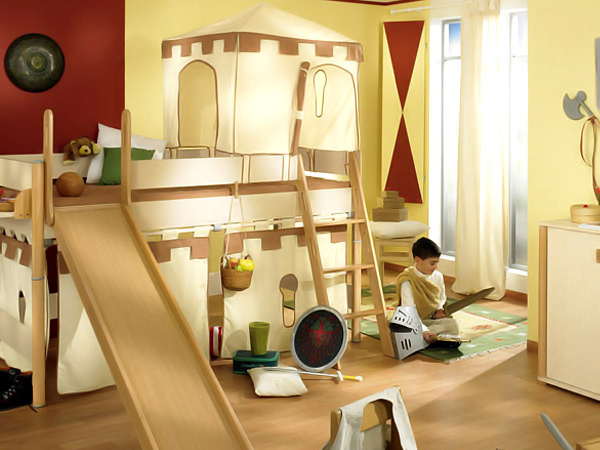 These children’s bedrooms are very lovely and would surely make your kids happy and fulfilled. Each one has a distinct theme and each one can also make your child’s bedroom full of fun and excitement. Well, who wouldn’t love to sleep in a bed with a tent? Every kid would love to do that! How much more if it is designed with their favourite theme? You can create one like these bedrooms or you can get one straight from en.paidi.com. They can give you your child’s dream bedroom with those creative tents and ladders, too. For sure, these bedroom designs impressed not just the kids but the parents, too. Your kids might even be tugging on your shirt after seeing this collection for they want something exactly like this for their rooms! We can’t blame them if they’ll have that desire because Paidi children’s bedrooms are truly creatively designed. You can also look into other children’s bedroom designs for more inspiration.